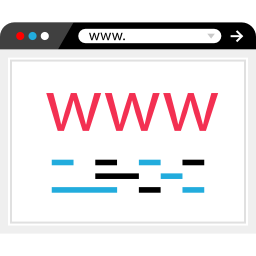 Have you heard the term “Custom domain name” & wondering what is it? 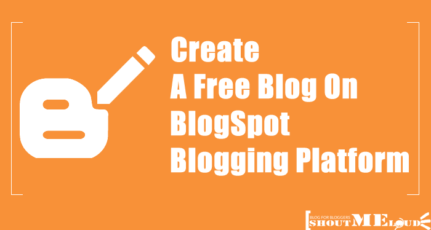 Most bloggers start on the blogging journey with BlogSpot.com or WordPress.com because the blogging investment is zero. This is always a safe way to start, but as someone who is looking forward to creating a career in blogging, this is a huge mistake. Self-hosted blogs are the best options for those who are looking to make money from blogging. Instead, I’m going to talk about custom domain names. 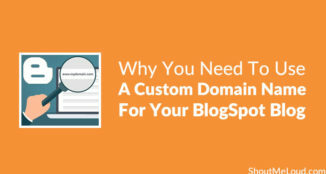 Many bloggers who blog using a free blogging platform usually don’t like to invest in a custom domain. They keep on blogging for years on the same sub-domain. They feel they can always change to a custom domain when they’re getting more traffic. But that’s not always true. Note: When I talk about choosing a domain, I’m talking about a top-level root domain name like ShoutMeLoud.com, ShoutMeLoud.org, ShoutMeLoud.in, etc. When you sign up with BlogSpot or WordPress.com, you get a sub-domain like ShoutMeLoud.WordPress.com. 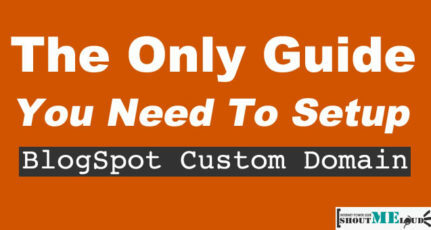 What are you missing without custom domain name? If you’re blogging for a year and can drive lots of traffic, then your blog will have built up some domain authority. But when you switch to a custom domain, you will lose all of that DA, and you’ll have to start from the beginning. Even though you can maintain your rank in SERPs, your DA will go back to 0. You’ll need to update your Google Analytics and Webmaster Tools accounts to reflect your new name. While you can always use the old analytics codes in a new domain, it would be odd to measure your metrics for a new domain name under the old domain name. When you shift from a sub-domain to a custom domain, you need to re-brand and re-market this new domain name. You have better exposure in search engines. Search engines (especially Google) prefer to link to root domains rather than .blogspot.com or .wordpress.com domains. You can also increase your chances of getting approval for your AdSense account. Check out how Ankit got AdSense account approval with a one-month-old domain. You can have a contact email like [email protected] rather than a Gmail or Yahoo email. Check out how to create a professional email ID using Google Apps. 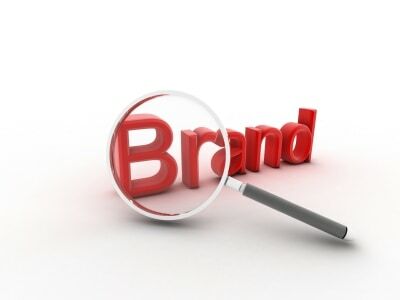 Perhaps the most important point is that you will have a brand name from day one. Here at ShoutMeLoud, when I started blogging, I used the name “Virgintech”. 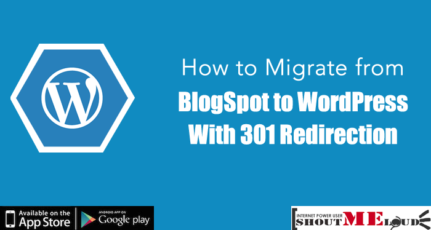 I was on a BlogSpot blog and wanted to move to WordPress. But the domain Virgintech.com was taken, so I had to create a whole new brand. Well, in your case, you are lucky enough to learn from my mistakes, and instead of waiting, you can grab a top-level root domain right from the start. Try to choose a shorter name rather than a longer name. Make sure the name is easy to spell. If you’re switching from a free sub-domain, try to keep the brand the same… ex: ShoutMeLoud.wordpress.com to ShoutMeLoud.com. If that’s not possible, try for something similar. 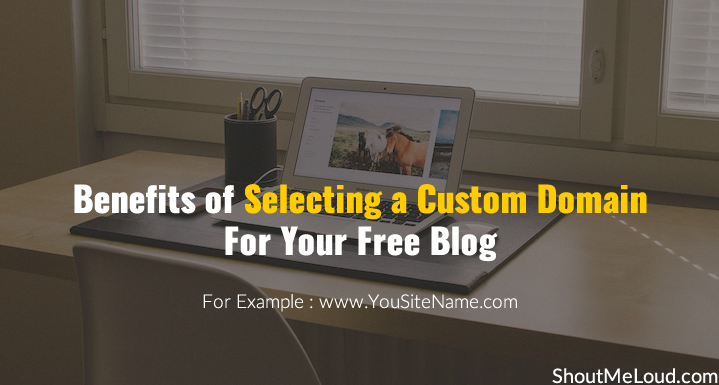 Once you have understood the science of picking the best name for your blog, here are a few domain name suggestion tools which will help you in finding the perfect name. You can buy the domain name from GoDaddy or get a free one from Bluehost when you go to buy hosting (which you will need when you switch to WordPress). 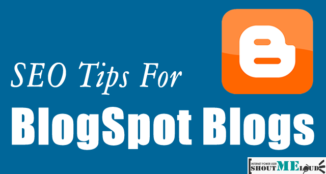 If you are using BlogSpot, this complete DIY guide will help you add a custom domain to your blog. Similarly, you can add a custom domain from the WordPress.com admin dashboard. But again, I will always suggest using a self-hosted WordPress blog instead of a free WordPress.com or BlogSpot blog. 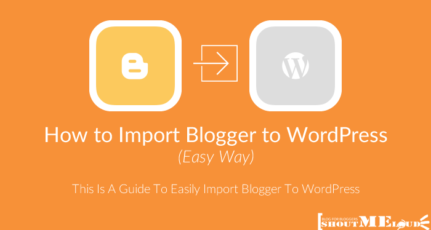 You can refer to this WordPress guide to get started. So what do you think? What are some other reasons you can think of as to why we should start blogging with a custom domain name? Share your thoughts in the comments below. Thanks for this awesome post – I passed through this some weeks back when I changed from sub domain to custom domain. Thanks for updating the newbies. I will refer this post for my clients bro!!! Another very useful post by you. Thanks for explaining in detail. Your passion shows in your posts. I read this article now but when I started my blog few months ago , I also choose custom domain name from GoDaddy and hosting from HostGator. I agree that custom domain name must be choosen by anyone serious for blogging. Please tell your opinion about HostGator hosting. Is it ok or do I need to change it in future? hi harsh! This article was really helpful. I have also opted your method in my case and I purchased my own domain name. Thanks for your valuable post. Thank you very much for outstanding tutorial. I got success following your guides. Very informative and thoughtful post, I agree with what you said, the importance of having your own domain name for you blog or business cannot be overlooked. 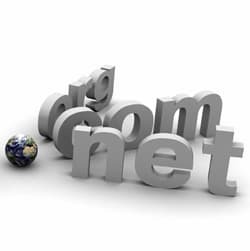 When you obtain a great memorable domain it will help you build a strong brand. Imagine having a .Blogspot or .WordPress, to me this is a red flag when it comes to marketing 101. You are killing your brand by doing this and not to mention how simple it is for you to find a great domain. Just keep in mind you are making an investment into your business.